We’re so proud of the progress our farmers with disabilities are making with aquaponics in Free State, South Africa. 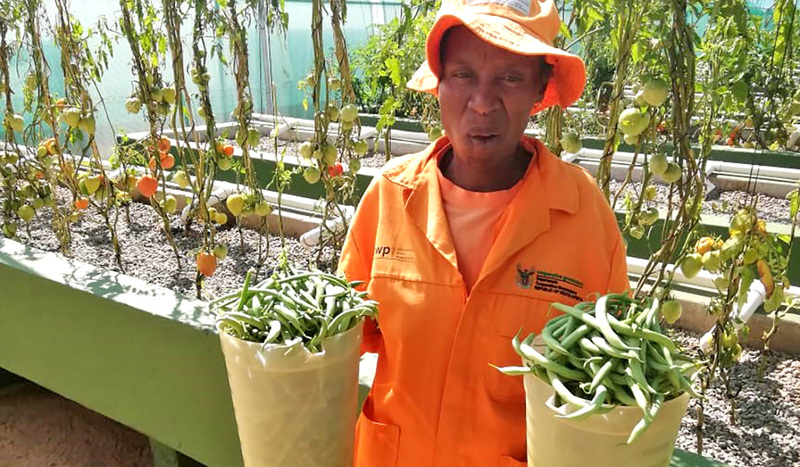 Through a USAID grant, INMED South Africa has implemented aquaponics systems and business training for three farming cooperatives associated with the Disabled People South Africa group. Aquaponics is particularly suited to the needs of the physically disabled, because systems can be designed for wheelchair accessibility and require minimal physical effort to maintain. As you can see from this green bean harvest from Monyakeng, our systems produce bountiful crops. Community market events also are helping our talented farmers overcome stigma.